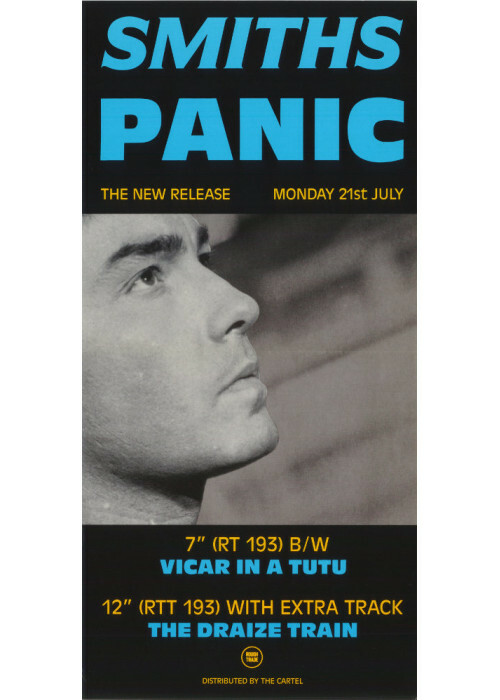 The Smihs Original Promo Poster from the single "Panic" distributed by The Cartel, one of their Greater hits. T-Shirt Tribute to Manchester and its prolific indie scene that it has turni to one of the Indie Music World Capital. The bands formed in Manchester are several albeit I included some of the best in m.. 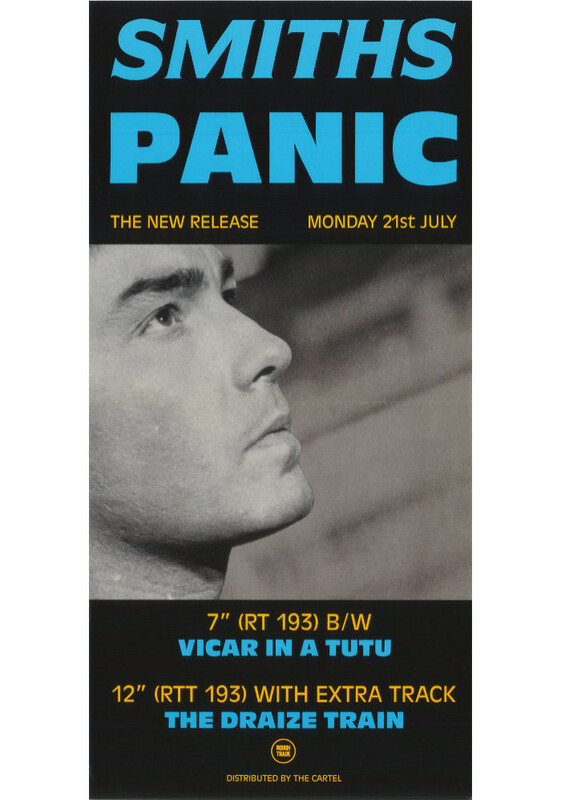 The Smiths Panic Single Postcard featuring Richard Bradford.Printed in Europe by 'Editions Musicartes'.Ref. on the back: EM477 The Smiths - RankCondition: MintShipping Costs (Up to 4 c..